Will Dog Urine Harm My Rope? A buddy’s dog peed in the general direction of my new rope. I don’t think it was a direct hit per se, but collateral damage is a high possibility. Do I need a new rope or will a good scrubbing do the trick? A buddy’s dog peed in the general direction of my new rope. I don’t think it was a direct hit per se, but collateral damage is a high possibility. A different friend has since told me to scrap the rope because dog urine breaks down nylon. Do I need a new rope or will a good scrubbing do the trick? They say that animals have the most honest emotions—that little whelp is just acting out what everyone else thinks, or it could be a desperate cry for help. Try giving him a proper belly rub or roll up your trousers and surrender a leg. But for cripes’ sake, keep him away from your rope! The simple answer is: Nobody knows. 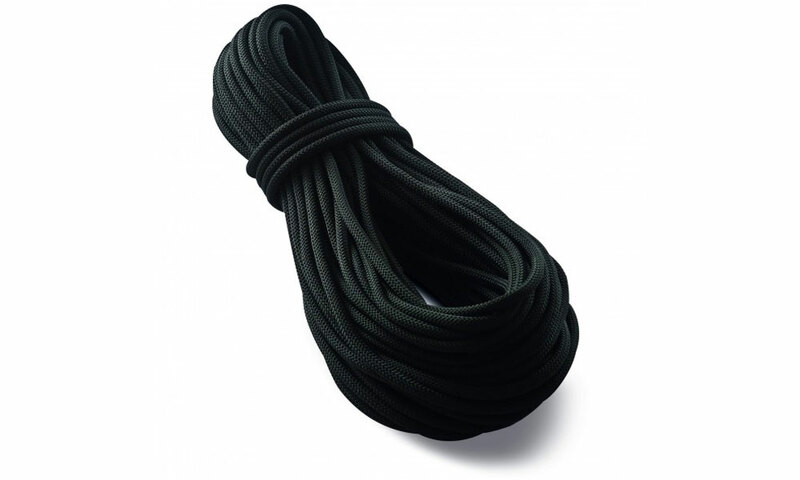 According to the manufacturer Honeywell, which used to make nylon used for climbing ropes, substances that do not affect rope strength include motor oil, mineral oil, salt water, Freon, gasoline, kerosene, benzene, chloroform, paints, pine oils and insect repellent. Agents that we know will weaken nylon are sulfuric (battery) acid, bleach and solvents. I’d argue that washing your rope has more potential to cause damage than a squirt by little Fido. Washing a rope could expose it to residual bleach and solvents in the tub or washing machine, and the soap you use could strip away the rope’s dry treatment. Dog urine, however, is an unknown. Further, the chemical composition and strength of urine varies according to diet and time of day (morning urine is usually stouter than evening pee). After a hearty meal of asparagus, my pee can burn through 12-gauge sheet metal. I guarantee it. There is some evidence that cat pee might weaken a rope. Kolin Powick of Black Diamond tested a rope that had been sprayed by Felix, then washed twice with baking soda. 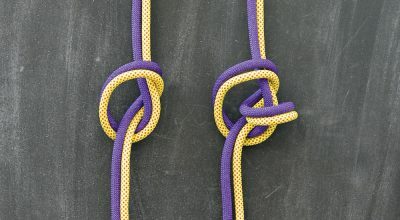 In pull tests, the pee rope broke at 95 percent the strength of a brand-new rope of the same 9.2mm diameter and model. Keep in mind that the contaminated rope was used and had been washed twice. Also worth noting is that manufacturing and the testing process itself introduce inconsistencies. As with political polling, a five-percent strength difference is within a reasonable margin of error—it proves nothing. But you don’t need to worry much either way: cat pee is so odorous no one is about to climb with you ever again. Powick does cite additional testing by Pit Schubert and the University of Stuttgart on ropes contaminated with human urine. A rope soaked overnight in urine saw a 30-percent reduction in the number of falls held, while a rope on which urine drops had been dribbled held 13 percent fewer falls. These results clearly show that you shouldn’t soak your cord in a tub of piss and raises the question: Just how do you go about getting a vat full of pee? Yeech! The jury is still out on urine contamination. More testing by someone with the constitution of a steel girder needs to be done. Urine might cause damage at some level, but the extent seems minor: Lots of ropes get peed on (think about that next time you pull up slack to clip and hold the rope in your mouth) and none have ever been known to break. We can bet that pee does not improve a rope’s performance. Avoid it if for no other reason than good hygiene. Keep your rope clean, store it in a bag away from chemicals and inspect it before every use. If in doubt, throw it out. A rope is cheaper than a headstone. Gear Guy has spoken!